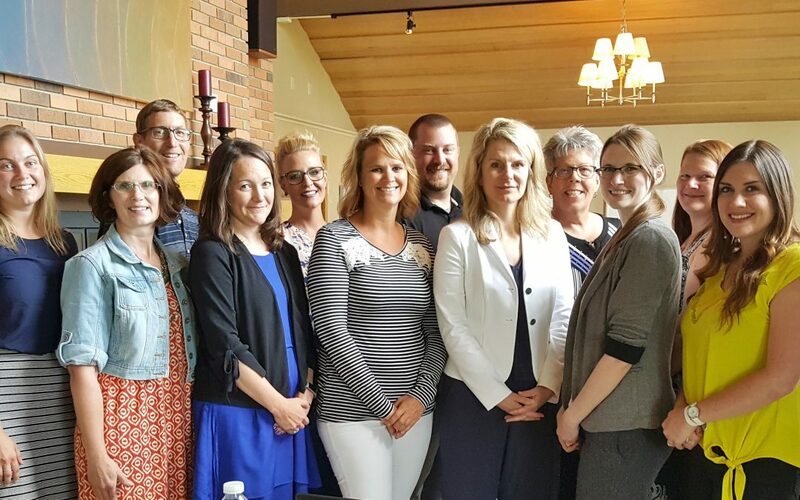 Sioux Falls Thrive welcomed its new Out-of-School Time Action Team to orientation July 25. Fifteen team members — who include representatives from the business, government, nonprofit, and faith-based sectors and community stakeholders — are charged with improving access to programs serving youth when school’s out. Applications for membership on the OST Action Team opened shortly after Thrive published “School Safety and Out-of-School Time” this past spring. The study was conducted by Augustana University Research Institute. Thrive action team members are appointed to two-year terms. During that time, trained facilitators lead inquiry processes that capitalize on existing community resources. OST members pictured above are Rika Peterson, Facilitator, Maximizing Excellence; Rebecca Wimmer, Boys & Girls Clubs; Phil Olson, SD Youth Foundation; Rebecca Kiesow-Knudsen, LSS; Becky Deelstra, VOA, Dakotas; Michelle Moller, DSS Child Protective Services; Sky Smothers, Sioux Falls Parks and Recreation; Kate Reed, Community Stakeholder; Karla Johnson, SD Afterschool Network; Allison Green, SD Department of Labor; Jodi Miller, Kid’s Inc.; Kassidi Smith, KIDSTOP. Not pictured are Stephanie Bents, Siouxland Libraries; John Hegg, Community Stakeholder; Kim Overby, Sanford Health; Charlie Toomajian, Community Stakeholder.